Liverpool brought Manchester City's unbeaten domestic run crashing to an end with a scintillating 4-3 victory at Anfield on Nissan Super Sunday. Sensational goals from Roberto Firmino, Sadio Mane and Mohamed Salah in nine devastating second-half minutes saw Liverpool become the first British side to beat Pep Guardiola's men since Arsenal in the FA Cup last April, ending their 33-game unbeaten domestic run in the process. Alex Oxlade-Chamberlain had fired the Reds ahead inside nine minutes, only for Leroy Sane to haul the runaway Premier League leaders level before half-time. Late goals from Bernardo Silva and Ilkay Gundogan set up a tense finale, and Sergio Aguero headed a late chance wide, but Liverpool held on to avenge September's 5-0 thumping at the hands of City, whose 81-year wait for a league double over the Reds extended. Liverpool: Karius (6), Gomez (6), Lovren (6), Matip (7), Robertson (8), Wijnaldum (8), Can (8), Oxlade-Chamberlain (8), Salah (8), Mane (8), Firmino (8). Subs: Milner (6), Lallana (6), Klavan (n/a). Man City: Ederson (5), Walker (6), Otamendi (5), Stones (5), Delph (5), Fernandinho (6), Gundogan (6), Sterling (5), De Bruyne (6), Sane (6), Aguero (5). Subs: Danilo (5), B. Silva (6). Man of the Match: Alex Oxlade-Chamberlain. Both sides lived up to their pre-match billing, trading blows from the first whistle before Liverpool drew first blood as Oxlade-Chamberlain's low 20-yard drive flew past Ederson. Liverpool continued to exert pressure but City steadied themselves and almost levelled through Aguero on 20 minutes, but he narrowly missed Kevin De Bruyne's cross. Dejan Lovren, filling in for the injured Virgil van Dijk, then deflected a Sane shot inches wide soon after, while a bobbling De Bruyne effort saw City register their first attempt on target with 35 minutes on the clock. Ederson was a match to Salah's curled effort but the same could not be said for Loris Karius in the 40th minute as Sane's fierce near-post drive flashed home to haul City level before the interval. Leroy Sane scores for Manchester City against Liverpool in the Premier League. The second half continued in the same vein as Nicolas Otamendi crashed a header against the bar on 51 minutes, but Liverpool then embarked on a scintillating spell from which City could not recover. Ederson made saves from Salah and Oxlade-Chamberlain in quick succession before Salah clipped the bar at the end of a pulsating 56th minute. But the pressure soon told as Firmino shrugged off John Stones before chipping over the City 'keeper and into the net via the post. Jurgen Klopp decided not to risk Virgil van Dijk, who sat out due to a hamstring strain, as Dejan Lovren returned. Mohamed Salah and Georginio Wijnaldum returned in the two other changes from Liverpool’s FA Cup win over Everton. 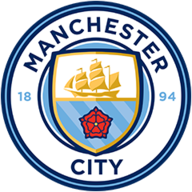 Ederson, Kyle Walker, Nicolas Otamendi, Fabian Delph, Fernandinho and Sergio Aguero were recalled as Pep Guardiola made six changes to the side that beat Bristol City in the Carabao Cup. Mane then struck the post before thundering home a left-footed drive from the edge of the area, and a shell-shocked City went further behind as Salah punished Ederson's poor clearance to make it four with a lofted, long-range strike. Substitute Silva and Gundogan threatened to inspire the most remarkable comeback but, after Aguero headed wide in stoppage-time, City were left to come to terms with their first Premier League defeat since losing at Chelsea on April 5 2017. Liverpool inflicted Manchester City's first Premier League defeat since last April against Chelsea, bringing an end to their 30-game unbeaten run. Pep Guardiola has lost five matches against Jurgen Klopp in his managerial career, more than against any other manager. This was Manchester City's first 4-3 defeat in the Premier League since they lost to Manchester United by that scoreline in September 2009. Manchester City's run of 22 matches unbeaten from the start of the season can be bettered by only two teams in Premier League history - Arsenal in 2003-04 (38 games) and Man Utd in 2010/11 (24 games). Mo Salah has scored 24 goals and assisted another seven in 30 appearances for Liverpool in all competitions this season. Jurgen Klopp: "That's a game which proves why many people love this game. That is football. That's how football can look if two teams combine quality, skills with attitude. I never thought the result would be 4-1, even when we were 4-1 up, because for them it's always possible to come back. But we deserved the three points." Pep Guardiola: "Congratulations Liverpool for the victory. I have to give credit to the opponent. We know how difficult Anfield is and how aggressive Jurgen Klopp's side are. We tried to make good build-up and found the spaces sometimes, but credit to Liverpool. You have to live this kind of situation during the season." Many questions have been asked about how Liverpool will go about replacing Philippe Coutinho but Oxlade-Chamberlain showed he is ready to step up. The former Arsenal forward has had a slow start to his Anfield career but he was outstanding on this occasion. His goal was a superb individual effort, with a crisp low drive capping a fine run. He seemed everywhere thereafter, contributing in defence and attack. 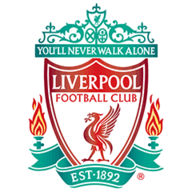 Liverpool return to action at Swansea on Monday Night Football on January 22, while Manchester City look to return to winning ways two days earlier when they host Newcastle.